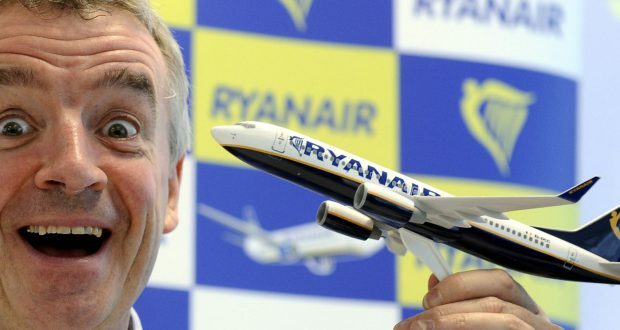 Anti-worker, anti-union: What's behind the chaos in Ryanair? While the headlines are full of the news of Ryanair flight cancellations (400,000 more passengers affected on the basis of the announcement on 27 September) what lies behind this crisis is the shameful treatment by Ryanair of its workers. The pilots at Ryanair have mutinied against their pay and working conditions. They deserve the support and solidarity of all workers for having done so. The men and women who fly Ryanair aeroplanes, work to a Ryanair schedule and wear Ryanair uniforms operate under the fiction that they are self-employed. Bogus self-employment, which is already rife in the construction industry, is motivated to get the employer off the hook for sick pay, holiday pay and social insurance contributions. The loss of employer and employee social insurance and other pay roll taxes costs the exchequer, here and abroad, millions each year. In the case of Ryanair any pilot who takes sick or loses their job has no automatic entitlement to social security thanks to this set up. 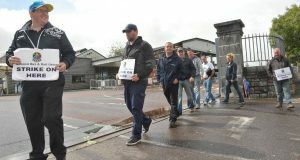 This summer, the Revenue Commissioner, the Department of Employment Affairs and Social Protection and the Workplace Relations Commission, WRC, organised a joint raid on a building site at Dolphin’s Barn to combat bogus self-employment, and rightly so. Why has that not been done with Ryanair? 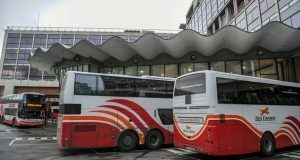 Mick Barry TD this week put it to the Minister for Transport, Shane Ross, that it is because the company is protected by the establishment that fetes it, by the parties that invite Michael O’Leary to their think-ins and by the Government, which holds up Ryanair as a glittering symbol and shining example of neoliberal Irish capitalism. Ryanair is not only a non-union company, it is an explicitly anti-union company. It is run like a corporate dictatorship. Any worker in Ryanair who stood up and announced that he or she planned to try to unionise his or her fellow workers faced immediate sacking. The absence of trade union organisation is part of the problem. If effective trade union organisation existed in Ryanair, there would be better wages and better conditions, and, perhaps, this crisis that’s affected passengers might have been averted. 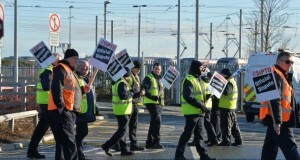 In March 1998, an opportunity to decisively challenge the bosses in Ryanair was missed when baggage handlers and SIPTU members took strike action and workers throughout Dublin Airport took solidarity action resulting in its shutdown (The company was refusing to negotiate with the workforce and union in an exercise in union busting) However, this opportunity was squandered when the leadership of SIPTU and ICTU cut across this solidarity action and kicked the dispute to touch through a process of “conciliation” and “arbitration” with Ryanair. Decisive industrial action will be needed if this union busting airline is to be defeated. Ryanair has been haemorrhaging pilots who see better pay and working conditions available at other airlines. The offer of approximately €10,000 per pilot to buy back a week’s annual leave has rightly been rejected. Pilots are correct to use the leverage they have to fight for better pay and conditions including an end to bogus self-employment practices. This should be a spur not just to the fighting for effective trade union recognition but also for that struggle to be replicated by baggage handlers, cabin crew and all office staff.